New beautiful booklets that contain the most loved Novenas, Catholic Prayers, and Essential Devotions for every Catholic in pocket book form. Pocket Book of Catholic Novenas by Lawrence G Lovasik was published by Catholic Book Publishing Co in December 1998 and is our 6399th best seller. The ISBN for Pocket Book of Catholic Novenas is 9780899420370. Be the first to review Pocket Book of Catholic Novenas! Got a question? No problem! Just click here to ask us about Pocket Book of Catholic Novenas. 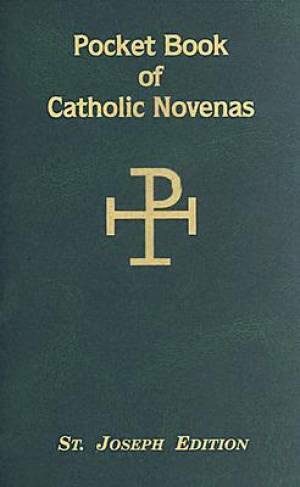 How many novenas does the Pocket Book of Catholic Novenas contain? A:This Pocket Book of Catholic Novenas edition contains fifteen novenas.